Create a stream of bubbles! 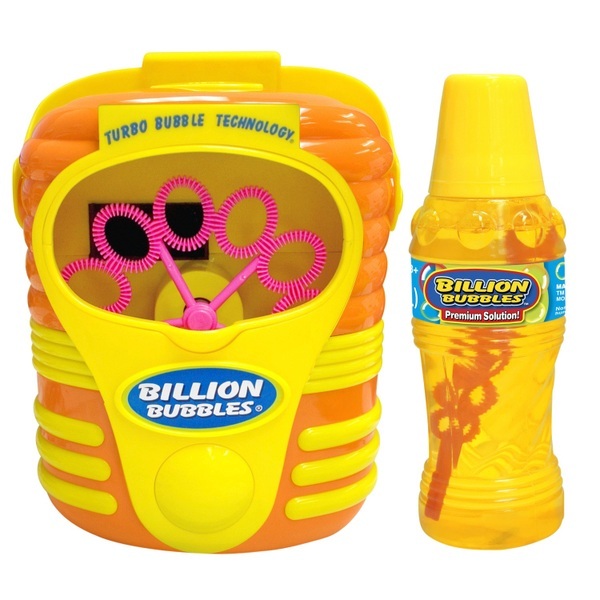 Create your own bubbly fun with the Billion Bubbles Generator. Bring the magic of bubbles to outdoor games with a clever bubble machine that’s just bursting with fun. Simply fill the Billion Bubbles Generator with the included bubble mix, switch it on and watch as it blows a whole stream of bubbles. Little ones will love seeing how bubbles form in the bubble machine and chasing them through the garden before they pop and vanish. With a simple push of the button to start and stop, you can fill your garden with bubbles in minutes. The Billion Bubble Generator comes with 8 fl oz. of high quality bubble solution. EU Warning: Not suitable for children under the age of 36 months.